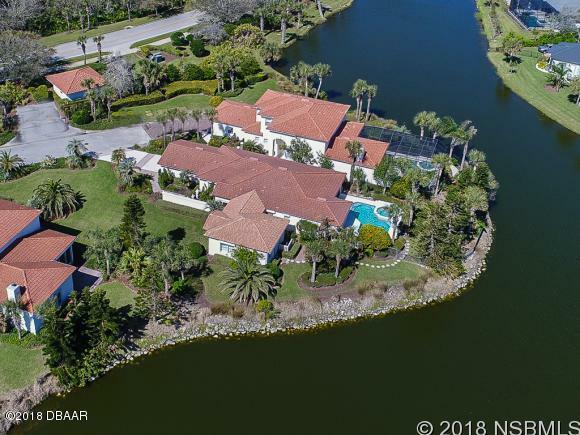 Carefree living in this stunning lakefront villa home in the prestigious gated Oceanfront Golf Community of Hammock Dunes, just blocks to the beach. This desirable home sits on a DOUBLE LOT with an open floor plan including two master suites, office/den and third bedroom. French doors lead you to a covered lanai that opens to a beautiful heated pool and spa with privacy and beautiful views overlooking Lake La Costa. Many additions and upgrades can be found in this home including both plantation shutters and an electric exterior aluminum roll up shutter system. 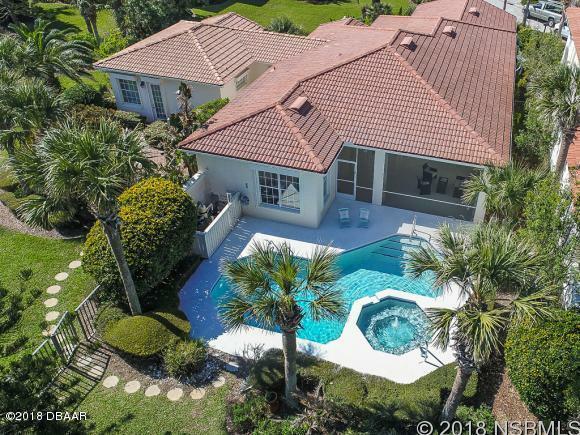 Enjoy carefree living as all landscaping is included in your Homeowners Association Fees; maintenance of the lawn, shrubbery irrigation, fertilization and pest control of the yard.Stunning lakefront villa home in the gated Oceanfront Golf Community of Hammock Dunes, just blocks to the beach. This desirable home sits on a double lot with an open floor plan including two master suites, office/den and third bedroom. French doors lead you to a covered lanai that opens to a beautiful heated pool and spa with privacy and beautiful views overlooking Lake La Costa. Many additions and upgrades can be found in this home including both plantation shutters and an electric exterior aluminum roll up shutter system. Enjoy carefree living as all landscaping is included in your Homeowners Association Fees; maintenance of the lawn, shrubbery, irrigation, fertilization and pest control of the yard. Equity membership to the Hammock Dunes Club is INCLUDED with sale of home. Amenities include two 18 hole championship golf courses, tennis courts and outdoor swimming pool and spa, fitness center and clubhouse. Based on information from the DABMLS from 2019-04-04 13:27:24. DABMLS and their affiliates provide the MLS and all content therein "AS IS" and without any warranty, express or implied. Data maintained by the DABMLS may not reflect all real estate activity in the market.